Petrol prices may go down by Rs.2 per litre later this week due to falling global crude oil prices. If this happens, it will be the second price cut since the steep price hike of Rs. 7.54 per litre on May 24, 2012. Oil companies revise the fuel prices on a fortnightly basis. At present, in the international market, crude oil price has slipped to $107.99 from the earlier $124.42m during which the Rs. 7.54 per hike was implemented. However, due to the weakening of rupee against dollar, which at present stands at Rs. 55.52 as against Rs. 54.96 last fortnight, there still lies a cap on how much petrol prices can be reduced based on a drop in international crude oil prices. Hence, considering the drop in crude oil prices, but keeping in mind the weak rupee, the market situation will enable the oil companies to reduce the petrol price by Rs. 2 per litre in the next few days. And when this happens, petrol prices will only be Rs. 3.50 per litre more (approximate, Rs. 7.50 price hike, followed by Rs. 2 cut on June 2 and another Rs. 2 cut expected later this week) prior to the steep Rs. 7.54 per litre hike on May 24, 2012. On the other hand, oil companies face a revenue loss of Rs. 12.53 per litre on diesel as diesel prices have been frozen since June 2011. Hence, there is speculation that the imminent petrol price cut may make way for a diesel (and others such as kerosene, cooking gas) price hike by a fraction. « Oil minister proposes Rs. 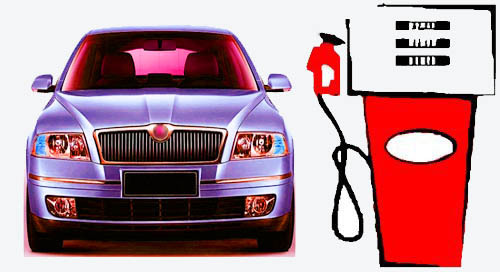 2.55 lakh price hike on diesel cars!